To ensure the church is kept clean and a worthy place in which to worship God as a parish family. This is a good way to meet fellow parishioners and or to make a contribution to the parish in a low key way - and you need only take a turn twice a year. 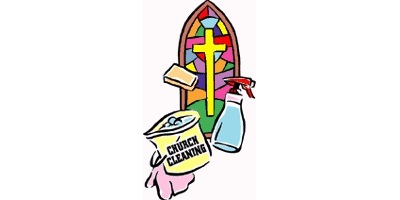 We have a roster of parishioners who volunteer to clean the church during the year. Teams of one or two people are rostered on approximately twice a year to clean the inside of the church. This includes tidying, vacuuming, dusting and general cleaning and takes about 1 hour. Cleaning is carried out once a week usually on a Saturday morning or Friday afternoon.